We’re barely a month into 2014 and it’s already apparent that cats will continue to rule pop culture this year. You’d be hard-pressed to browse the web these days and NOT see the face of a four-legged feline; cats are no longer just domesticated pets, but stars of the Internet, social media, and now, they are even being commemorated in contemporary art. 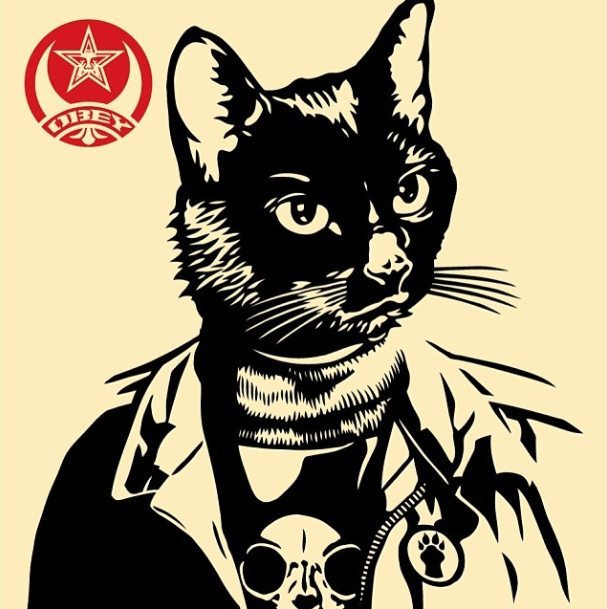 Jordan Shapiro of the Wall Street Journal blames our cat-obsessed culture on psychology, musing, “Cat memes can be understood as modern icons that celebrate and worship the symbolic cat. They seem to emphasize how cats are like human. But the unconscious message might be more profound. They might be about the way humans are like cats.” While I don’t know if I fully buy Shapiro’s take on feline fame, I do know that right now, there’s a Los Angeles art show dedicated completely to cats, and it’s one you do not want to miss. Curated by art and culture writer Susan Michals, Cat Art Show Los Angeles is an artistic homage to felines like you’ve never seen before. It’s a massive art show that features the work of more than 70 globally recognized artists, including Tracey Emin, Guy Denning, Marion Peck, Gary Baseman, Shepard Fairey, Marc Dennis, Heather Mattoon, Ray Caesar, Anita Kunz, Jill Greenberg, Christian Furr, and dozens more. 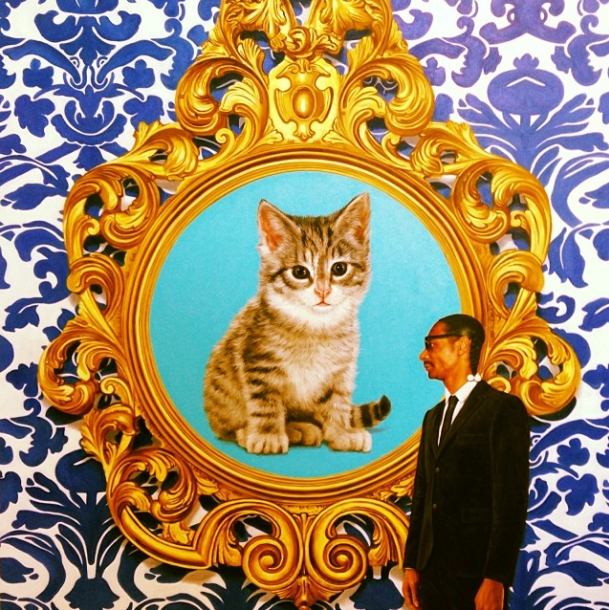 Cat Art Show Los Angeles “is both a meditation and a celebration of the feline form. This exhibition goes beyond heralding felines as domesticated companion, and instead explores their role as muse and inspiration.” Though many of the artists have admittedly never created cat-inspired art, the theme unifies them in Cat Art Show Los Angeles, and invites visitors to interpret the psychological and artistic impact of cats in our daily lives. “Cats have been part of our lexicon (not to mention our home life) for thousands of years,” explains the art show’s organizers. “The Egyptians frequently aligned them with the gods, like Bastet, the goddess of warfare. Later, great artists like Pierre-Auguste Renior, Utagawa Kuniyoshi, and Pablo Picasso all created masterpieces centered around cats, sometimes showcasing them as companion, sometimes around something much deeper symbolically,” of the ways that cats have been depicted artistically over time. There’s only a limited amount of time to see the art show, so if you live in the Los Angeles area, head over to the free-of-charge Cat Art Show Los Angeles on February 1st-2nd from 12-5 pm. 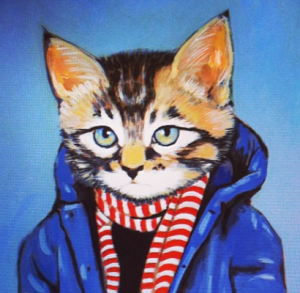 All artwork at Cat Art Show will be for sale, with a portion of proceeds going towards the Stray Cat Alliance of Los Angeles, a purrrfect charity to benefit from the cat-centric art show.